Let me start out by saying that this particular article is specifically for barter exchange members. If you don’t already belong to an exchange, I suggest you check it out. 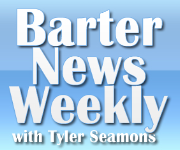 You can learn more about what barter exchanges are in my Barter Basics article. OK, with that bit of housekeeping out of the way, let’s proceed. 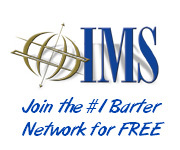 Are you aware that there is a significantly larger number of members in your barter exchange than is listed on their website? There are also more members than your broker can refer you to. Intrigued? Good. Here’s the deal; when an exchange member isn’t especially good at spending their credits (don’t get me started), they will sometimes go into “stealth mode.” What that means is that the exchange takes them off their “active” list which removes them from the exchange’s website and flags their account for brokers that they are not currently accepting barter credits as payment. The ARE STILL MEMBERS though. They usually have credits that they want to spend so they continue to maintain their membership.